Jim began his career with the United States Secret Service (USSS) in 1992 in the Minneapolis Field Office, after graduating from the University of Minnesota with a Bachelor’s degree in Business. He has served as a region and special project agent in the agency’s Financial Crimes Division and as a shift agent on the Presidential Protective Detail during the administrations of Presidents William Clinton and George W. Bush. In November 2003, Jim was promoted to Assistant Special Agent in Charge (ASAIC) of the agency’s Information Resource Management Division, followed by additional supervisory assignments in the Special Operations Division and the Tampa Field Office. Jim holds a Master’s degree in International Administration from Central Michigan University as well as a Master’s degree in National Security Strategy from the National War College in Washington D.C. 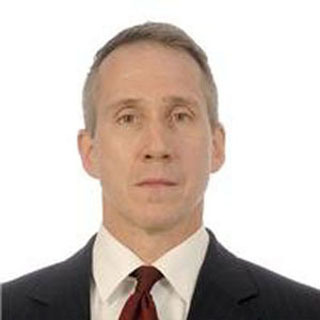 In November 2013, Jim was promoted to Assistant Special Agent in Charge (ASAIC) of the Paris Field Office (Interpol Lyon), where he is currently assigned as the Assistant Director of the Anti-Corruption and Financial Crimes Sub-Directorate for Interpol.